Working at advanced level classes and at a grade two above where he’s supposed to be, Ben Clark is prepared for the Math Olympiad. He has been qualified to participate in the American Math Olympiad that only 500 in the nation are accepted to participate in. All this and he’s only 14 years old. Fourteen and a junior in high school. “It’s nice, I don’t mind being in high school classes,” Clark mentioned, also saying that people treat him better here than they did at his other school. Clark already finished AP Calculus BC last year while a sophomore, with almost a perfect score. He’s currently taking courses through Stanford, which are Multivariable Differential Calculus, Optics and Thermodynamics, Linear Algebra and Modern Physics. He’s had several accomplishments in math competitions through the school, including being one of four that placed first out of 32 teams at the George Washington University Colonial math challenge. Clark also has a part in the Lehigh Valley mathematics team, where they recently placed first at the Princeton University Math Competition. 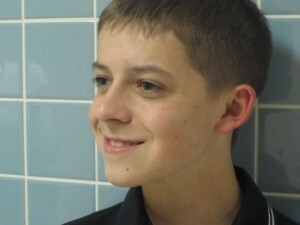 He also qualified for individual finals, where he placed tenth overall in the Algebra Subject test. “I just really got involved in it when I was younger,” Clark says about his interest in math. He liked math since kindergarten, and has been taking advanced classes since his elementary days. In the future Clark plans to go to an Ivy League college. “Maybe Princeton,” he said while also listing several other options. Clark plans to go to school for physics research for a future job field in the subject. This is a well written article about an extremly smart kid. I can’t belive that he made it into the Math Olympiad and he’s only 14! Wow!